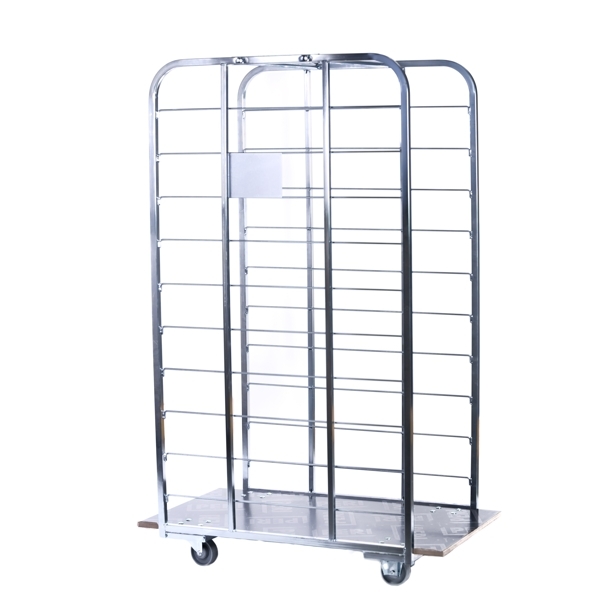 Effective logistics with the right trolley for the right purpose is an effective way to increase productivity and therefore increase your profits. In cleaning we talk about facilitating; meaning effective ways to distribute paper and other materials within projects. 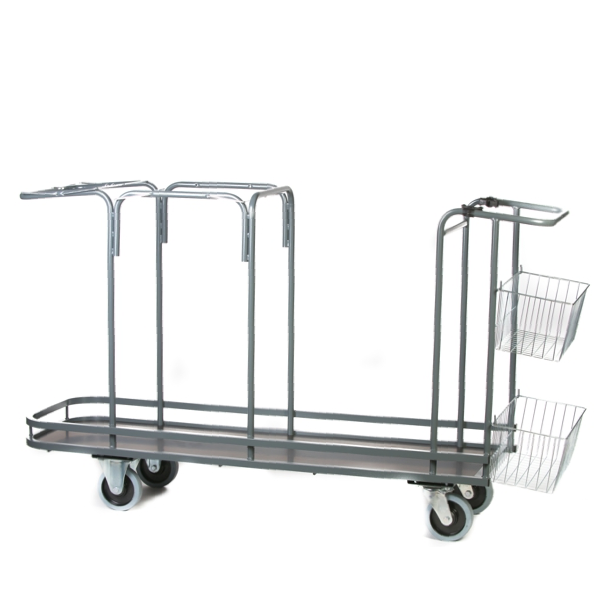 Here we have designed trolleys for specific purpose whether it is a laundry company transporting rental carpets, waste companies collecting cardboard for recycling or cleaning companies transporting waste within project. This trolley has been developed together with laundry companies whose biggest challenge is to pack and distribute carpets effectively. This trolley is simple looking but with details that count. This product can be made in different sizes depending on your requirements and transport vehicles. We can do this due to our design team and production facility. This is a specialized trolley for industrial cleaning sites. The trolley has large waste collection space and added space for cleaning utensils. There are 2 sack holder frames at the front and a large space in the middle suitable for 4-6 full 150 liter waste bags. Push bar side there is space for a mop system and dustpan set. There are also 2 metal baskets which can be used for 6 liter buckets and other cleaning utensils. Our smart AddOn EVA boxes can also be added in order to enhance the functionality and performance of the trolley.